These are exciting times for those into ‘looter-shooter’ games. The public Anthem demo is now available ahead of the game’s launch on February 22nd, but next week Ubisoft is going to host a beta of The Division 2 to try and steal the thunder out of BioWare’s game. In an interview published on the latest EDGE magazine (March 2019, issue 329), Ubisoft Massive Lead Designer Keith Evans explained that one of the main learning points from the first game was to make the world much more replayable for players who’ve reached the endgame phase. It’s definitely been a journey. I joined the team a little bit before the launch of the first game, so I was involved in leading the design on contributions to endgame over all three years. And the main lesson we’ve learned is that players kind of devour content. 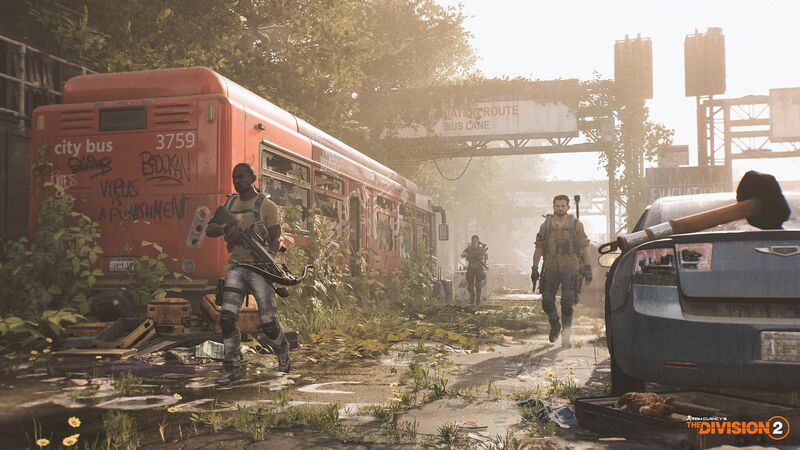 So the biggest thing that we’ve done design wise on The Division 2 is to start with that mindset. It’s not just about that level 1-30 journey, it’s not just about reclaiming this beautiful 1:1 version of a city. It’s about making sure there’s a ton of interesting things to discover, and that the world is much more replayable once you hit endgame. Evans then discussed specifically the highly anticipated 8-man PvE raids and how they will be different from what players experienced in the previous game. [Raids are] totally different to what we did in the first game. I can say that it’s something we’ve been working on for a long time. It’s not at the level of a mission, where it’s just about upping the intensity – we want this to be something that even players who own the best gear have to jump in and really discover. The Division 2 is set to launch on March 15th on PC, PlayStation 4 and Xbox One. It will be available digitally for PC only on UPlay and Epic Games Store, not Steam.